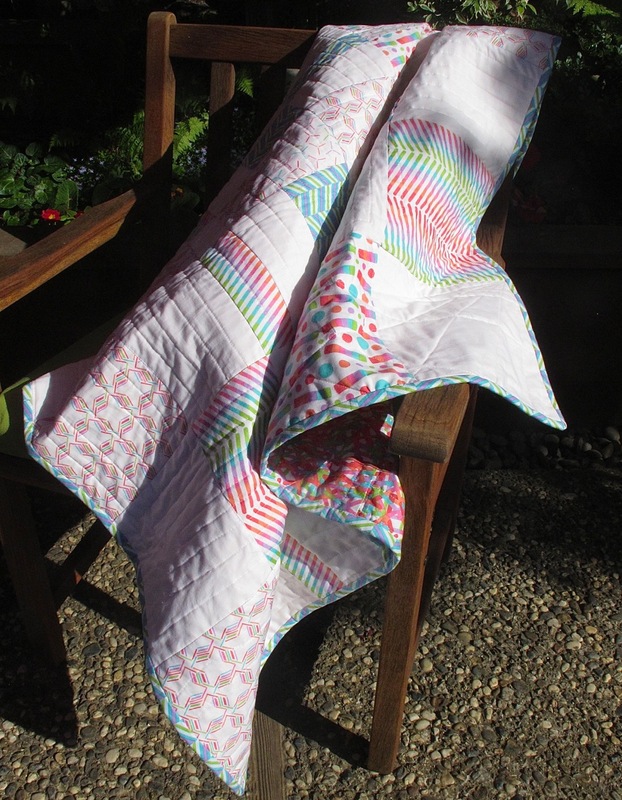 Well I have finished a small and supposedly simple baby quilt for some friends and a very special little one. I designed it in Adobe Illustrator as a sort of plaid using the Pop Rox fabrics with white to keep it modern and clean. Why it wasn’t simple was because I was sewing it and quilting it all myself and am still finding my way. And this is my first non-improv piece (which made me want to do a crazy improv next) But in the end I let all the little errors fall as they may and it’s still a cute little quilt. And it’s pretty easy to make one like this using any fabrics you want. 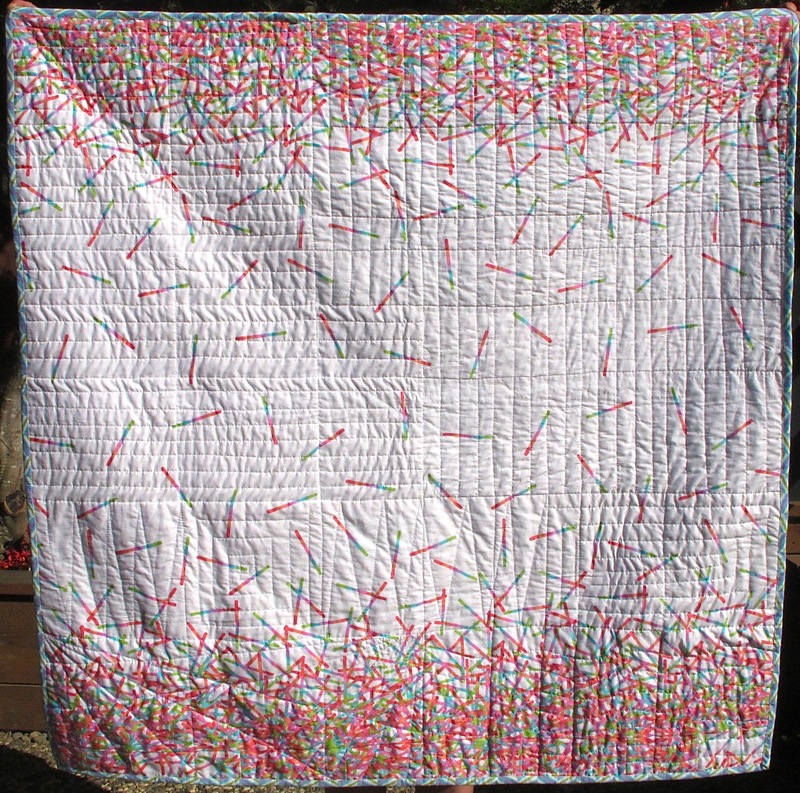 It’s 44×44 so you can use a backing selvedge to selvedge (I was dying to use the Pop Rox main border print so this quilt was an excuse to do that!). And I used either 2,3,4,5,6,7,8,9 inches for each column on each side. Hmmm, let me see what order it was in. The horizontal was 7,5,2,3,4,6,8,9 and the vertical was…6,5,2,3,4,7,8,9. But you can do whatever you want. 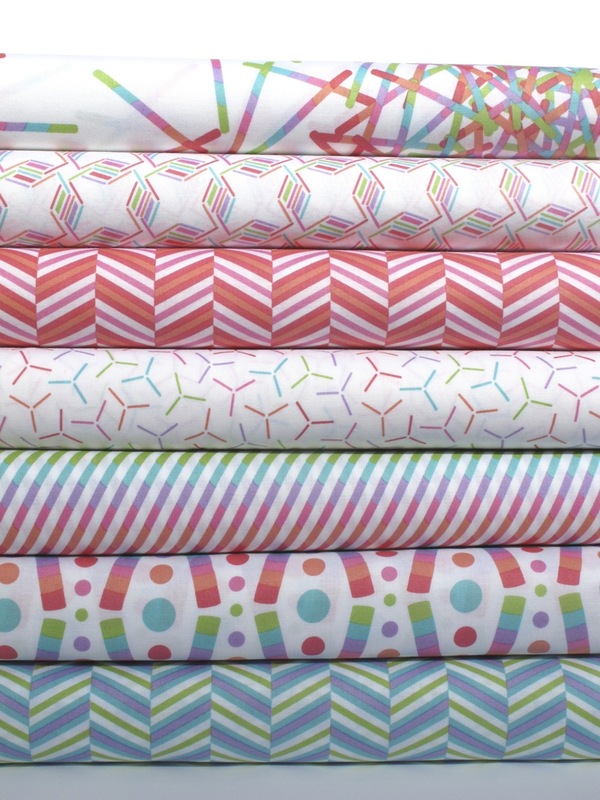 This would also be really fun using all prints or using different colors of solids. 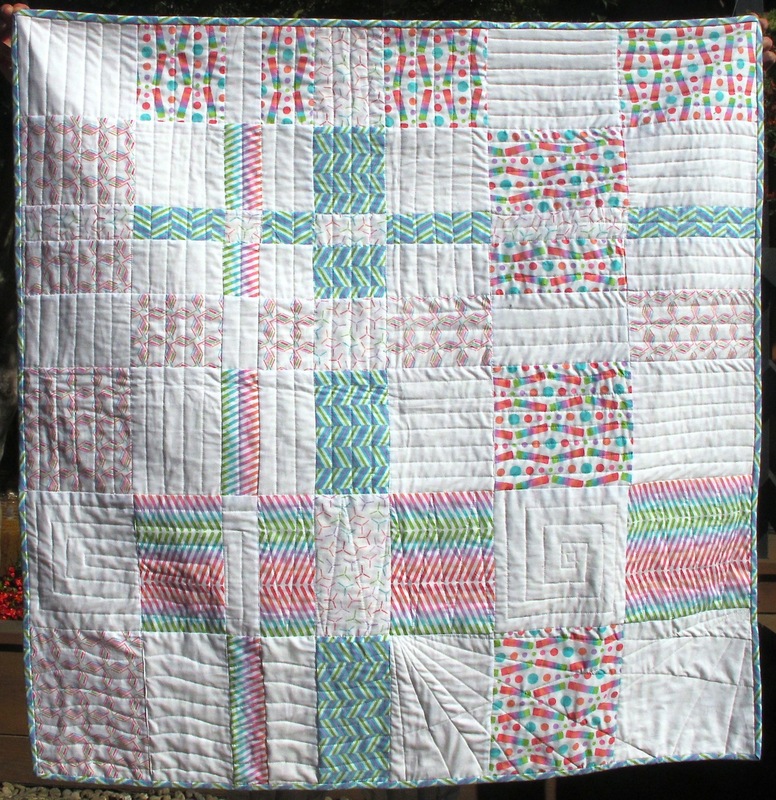 What was really fun about this is that I got to use the whole collection on the white color way…er I actually didn’t use the pink/melon zig-zag, but it was originally going to be the border, but then I found out the baby in question was a boy…so I went all traditional and did blue. But you know I know his dad wears pink so I should have been braver. 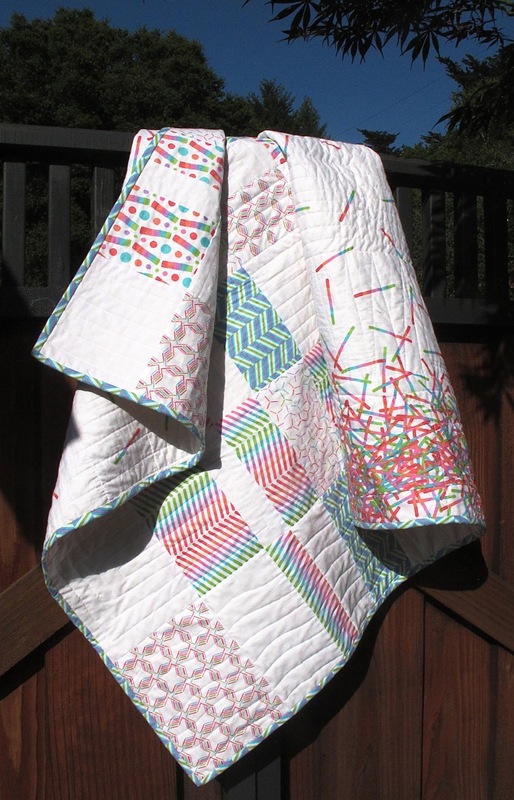 This entry was posted in Modern Quilting, Quilt Patterns, Quilting, Uncategorized and tagged Andover Fabrics, Pop Rox by Plaid Portico. Bookmark the permalink.